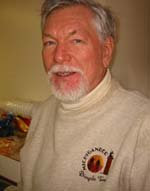 Bob - part-time bike rental guy in Peninsula? 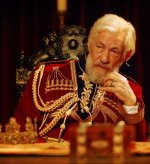 Sir Ian KcKellen as King Lear? Bob would make a great King Lear! I wonder how comfortable the customers would be with Sir Bob wielding a sword and train whistle? I am guessing those bikes would be back on time from now on. This makes me think two things: Bob may be King Lear, but he's no Gandalf. And I really miss Spy magazine.